Since the release of FINAL FANTASY in 1987, this unique RPG series continues to showcase the spectacular visuals, highly imaginative worlds and rich stories leading the industry and earning the highest accolades from users around the world. 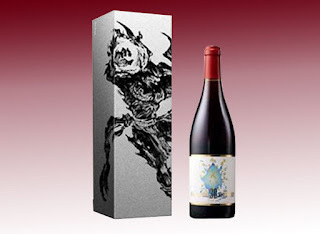 Celebrating 30 years of fantastic gaming, SQUARE ENIX are proud to present commemorative wines from Château des Bois. 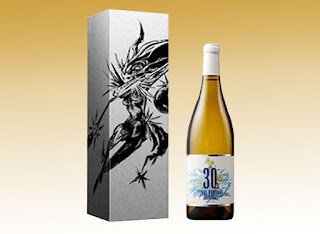 Featuring the FINAL FANTASY 30th Anniversary logo in a beautiful custom label adorned with foil and presented in glossy silver packaging featuring the beautiful artwork of Toshiyuki Nakayoshi famed for his character designs in “FINAL FANTASY IX” and “MOBIUS FINAL FANTASY” these are the ideal gift to celebrate this milestone. IFRIT ROUGE, named after and featuring custom artwork of FINAL FANTASY’s legendary Fire Summon “IFRIT”, is an easy drinking Burgundy. A mildly tannic and charming red wine with hints of strawberries and fresh red fruits. SHIVA BLANC, named after and featuring custom artwork of FINAL FANTASY’s stunning Ice Summon “SHIVA”, is an exquisite chardonnay with floral notes and citric undertones. A well rounded fresh wine with hints of fresh peach and blossoms it is easily paired with a wide variety of cuisines.